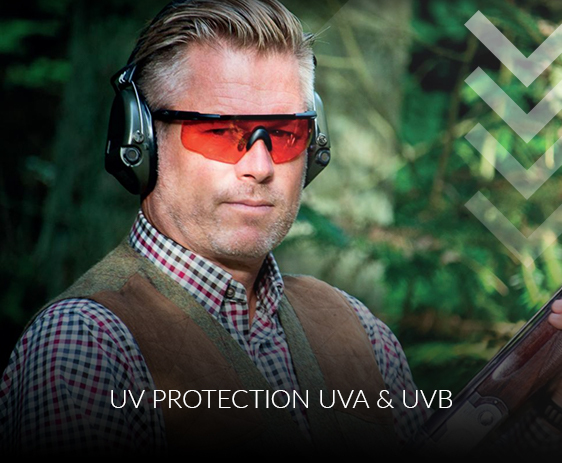 If you’re into shooting sports then you know that protection for your eyes is essential. Older people, or generally people that don’t have the best visual focus, have to wear contacts with whichever shooting glasses they prefer, or they have to wear their reading glasses and other shooting glasses on top of them. A lot of people avoid wearing contacts because during shooting, if a slight speck of dust gets into your eye, then you’re in it for the long haul. Those who usually wear their normal prescription eyewear and put shooting glasses over them may find it cumbersome and tedious requiring some sort of earmuff to pinch them into place so that they don’t fly off your face. That is where prescription shooting glasses come in. 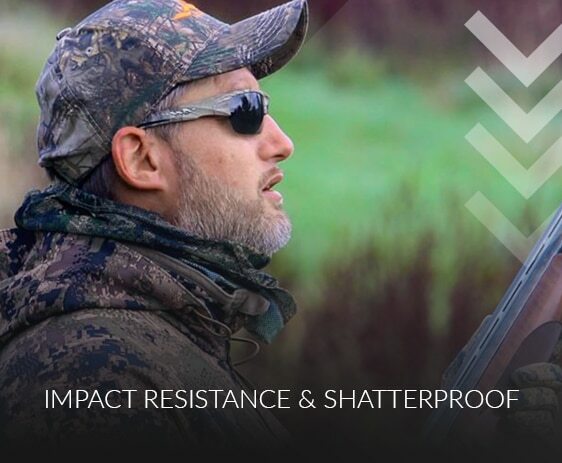 When looking for the best prescription shooting glasses, impact resistance and shatter proof is the most important feature you should consider. Having weak prescription sunglasses that damage easily when the bullet ricochets off the gun can bring serious injuries to your eye. That is why the government has set strict standard measures to protect every shooter. The American National Standards Institute (ANSI) is an organization that is responsible for setting standards for manufacturing of products. In this case, the ANSI has also set standards for safety eyewear. If the lenses of any safety eye glasses are not impact resistant, then they cannot pass the 'drop-ball' test. Usually, in this test, a ball is dropped onto the lens of the shooting glasses from a significant distance. If the lens can withstand the impact, then it is fit to be used as shooting glasses. If the lens shatters, cracks, or breaks, then it cannot be used for safety glasses. olycarbonate lenses are great for shatterproof and they also have an added element that makes them good for UVA and UVB protection. UVA rays can cause wrinkles, sun spots and premature aging. UVB rays on the other hand affects the skin’s top layer, causes skin cancer and a lot of sunburns. Whenever you are out in the field with your trap shooting glasses, you might want to consider having some prescription shooting glasses that protect you from any UV light. 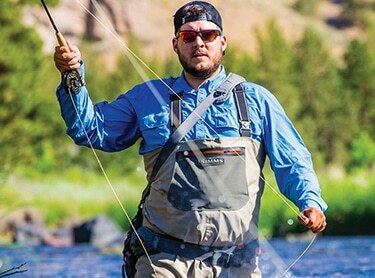 Prescription shooting glasses protect the eyes against UV radiation. Shooters require ultimate vision for aiming and navigating. This feature makes it an even better way to ensure you maintain good eyesight due to the weather conditions in the field. 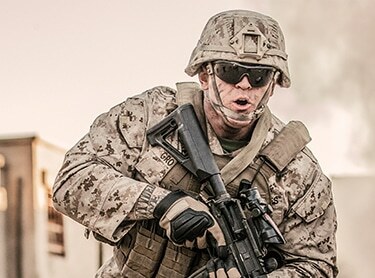 During a thrilling shooting experience, the field of view changes significantly, from running around to look for cover and aiming your gun to get a hit, sometimes the prescription sunglasses tend to fall off the face. With normal glasses, this could see you looking over the top of the lenses or to the side of them, but with shooting glasses prescription, you don't fall victim to that. With shooting glasses prescription, you have broader lenses that wrap around the face and curve towards the temples. What that does is give you consistency, even at the edge of your vision, you are looking through the lenses, giving you the same view, and of course, protection from bright light or the elements too. 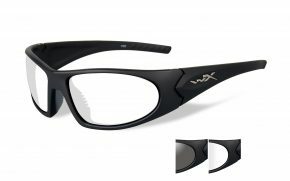 A lot of people in the shooting space, especially when they get older have to look for bifocal prescription shooting glasses. Some have to even go for trifocal. This is simply because our eyes change as we age. However, some people are also blessed with great eyesight which they may maintain all through their lives. 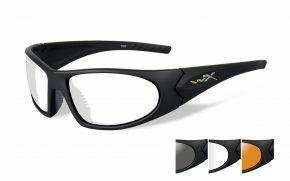 Bifocal prescription shooting glasses are prescription shooting glasses that have different prescriptions in them in order to see better at distance as well as closer. It is important to choose shooting glasses prescription that give better front sight focus when aiming. Lens color is also an important feature for prescription sunglasses. Smoke, grey and grey-green block glare without changing color perception. 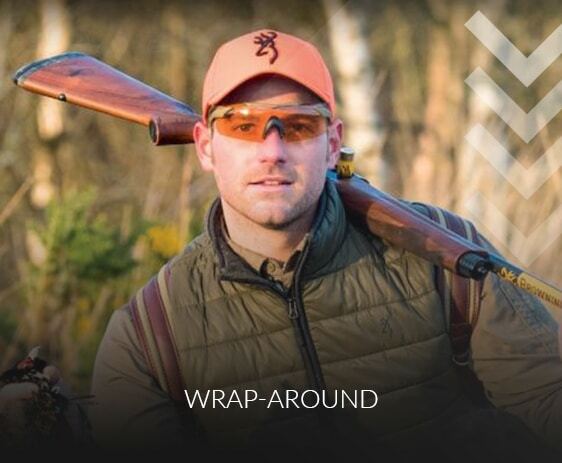 Amber –brown is specifically important for blocking out blue light on a cloudy day improving contrast and depth perception to have a good hunting experience. Yellow or brown on the other hand give a feeling of heightened adrenaline and visual action as they help improve contrast. Lightweight material like plastic, aluminum or titanium are the best especially for long hours of activity. 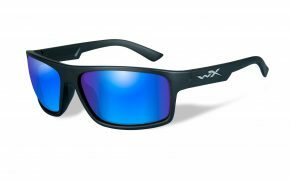 Shooters prefer prescription sunglasses that make them forget they had anything on the face. Order your pair of prescription shooting glasses today at our amazing low prices, and you will see the improvement in your next action. You won’t regret it.